The evolution of mobile technology can be traced back as early as the 1940s. Initially, two-way radios or mobile rigs were put in vehicles such as taxicabs, police cruisers and ambulances, but were not actually mobile phones because they were not normally connected to a telephone network. Essentially, the users of this early form of mobile technology were could not dial phone numbers from their vehicles. At first, mobile two-way radios were permanently installed in vehicles, but proceeding versions such as the transportables or “bag phones” were created with a cigarette lighter plug so that they could also be carried, and therefore could be used as either a mobile or as a portable two-way radio. In the early part of the 1940s, Motorola developed a backpacked two-way radio, the Walkie-Talkie and later on established a large hand-held two-way radio for the United States military. The battery powered “Handie-Talkie” or HT was approximately the size of a man’s forearm. 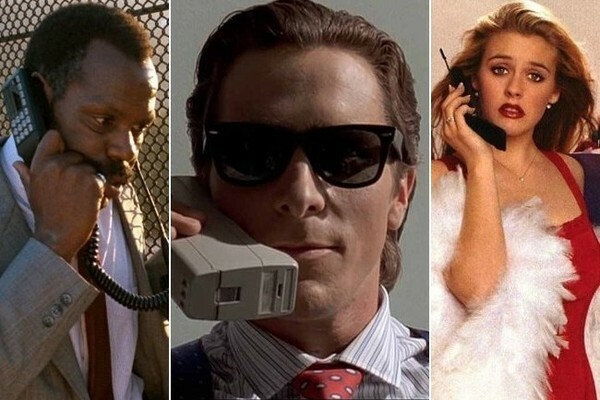 The technology would soon evolve from the analogue Motorola DynaTAC prototype first used in 1973 to the three distinct generations of mobile phones that would each improve upon the technology. The generations are classified as 1G, 2G and 3G. 1G or 1-G specifically describes the first-generation of wireless telephone technology, mobile telecommunications. These were the analogue telecommunications standards that were put in place in the 1980s and continued until they were replaced by 2G digital telecommunications. The chief difference between the two mobile telephone systems, 1G and 2G, is that the radio signals that the 1G networks used were analogue, while 2G networks use digital radio signals. In the 1990s, the second generation or 2G mobile phone systems including GSM, IS-136 (“TDMA”), iDEN and IS-95 or “CDMA” were introduced. In 1991 the first GSM network, Radiolinja, was established in Finland. 2G phone systems were characterized by digital circuit switched transmission and the utilization of advanced and fast phone-to-network signalling. For the most part, the frequencies that were used by 2G systems in Europe were higher than those in America. For instance, the 900 MHz frequency range was used for both the 1G and 2G systems in Europe, so the 1G systems were promptly shut down to make room for the 2G systems. In America the IS-54 standard was used in the same band as AMPS and displaced some of the existing analogue channels. The allocation of the 2G technology saw the inception of smaller, more compact mobile phones. This modification was enabled because of technological improvements including more advanced batteries and more energy-efficient electronics. SMS text messaging became a reality with the 2G network, initially on GSM networks and then on all digital networks. In 1991, the first machine-generated SMS message was sent in the United Kingdom. In 1993, the first actual person-to-person SMS text message was sent in Finland. SMS would very soon after its introduction, become the preferred method of communication for the youth. In fact, in most markets, a text message is preferred to leaving a voice message. The second generation also enabled users to access media content on mobile phones, when Radiolinja, now Elisa, in Finland introduced the downloadable ring tone as paid content. Following the success of the 2G network the development of the third generation or 3G technology was intialized. The development of this newer technology paved the way for a vast number of different standards with different contenders promoting their own technologies. Unlike the 2G systems, the meaning of 3G has been standardized in the IMT-2000 standardization processing. This process did not necessarily standardize on a technology, but instead on a set of requirements (2 Mbit/s maximum data rate indoors, 384 kbit/s outdoors, for example). From then on, the original ideal of a single unified worldwide standard was demolished and several different standards have since then been introduced. The first pre-commercial trial network using 3G technology was launched by NTT DoCoMo in Japan in the Tokyo region in May 2001. By late 2007 there were 295 Million subscribers on 3G networks globally, which represented 9% of the total number of people using mobile phones.